StreetDance 2, the sequel to the movie StreetDance which I don't quite remember what it was about till I refresh myself by watching the trailer again hit the theatres and I managed to catch it on the big screen. Like any other dance movies, this is about dances and winning the competition. This one like a lot of dance movies, is also about the fusion of 2 different dances together. In this movie, the plot line goes with a popcorn guy named Ash who like many people couldn't stand the cockiness of the best dance crew aptly named Invincible who's undefeated. So during a show, Ash in his popcorn uniform, tried to out dance the crew in a dance battle but failed miserably and fall flat on his behind. Eddie saw his courageous effort and decided to be Ash's manager to gather a dance crew to defeat Invincible. Together, they traveled all around the world gathering the best lone dancers who does not have a crew and put them together. By the time when they're almost done putting the crew together, there's one more element that they wanted in their dance crew which is not usually the norm for street dance, Salsa dancing. After watching Eva dance Salsa with full of passion and aggressiveness, they decided that they wanted that to be in the crew. The only problem is to convince the rest of the crew to embrace it. Once they got over that hurdle, they had little time left to practice before the big dance competition and what's more, they had to fuse together Salsa and street dance together. 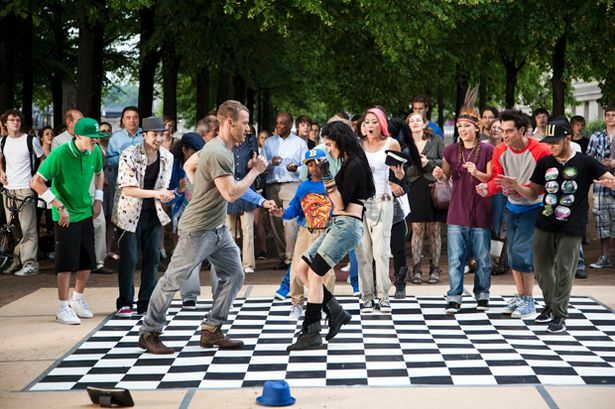 Meaning to say, the street dancers need to learn Salsa and the Salsa dancer, Eva, needs to learn street dancing. On top of that, when the competition nears, Ash started to had doubts into taking the bold move and is second guessing his earlier decision to include Salsa in. This strains the relationship between Eva and Ash and also the crew. Although I didn't remember what StreetDance was about before I refresh myself with the trailer, I did remember that it was an okay movie. I did not fancy StreetDance 2 as much though. Maybe it's because I don't get the fusion between Salsa and street dance (which to me, don't seem to have much Salsa element at all in their final routine). Or it could be they never did show 1 full routine of any of the dance crews but merely snippets of fancy dance moves here and there unlike other dance movies. Either way, this movie is not as inspiring as I would like it to be. I rate this one 2.5 stars out of 5. The first installment was nice to me. But this one is a bit boring. It's rated PG13 in Malaysia. But, of course, in Malaysia, as long as the kid is accompanied by his parents it's allowed. This movie contains a lot of Material about Dance and I love it. 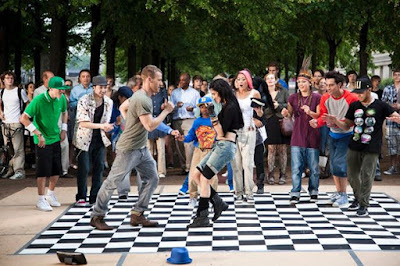 And StreetDance 2 Movie Review is Just Great....!